The latest F3 and F4 flight controllers are incredibly sensitive to vibration so soft mounting is essential; really, don't attempt a build without some sort of dampening as you will more than likely run into lots of issues ranging from mid throttle oscillation to yaw twitches. These high-quality rubber standoffs from Matek are the perfect solution, put them underneath the flight controller to isolate vibration generated by motor and propellers. They come with a male and female thread for easy installation and are compatible with most flight controllers. 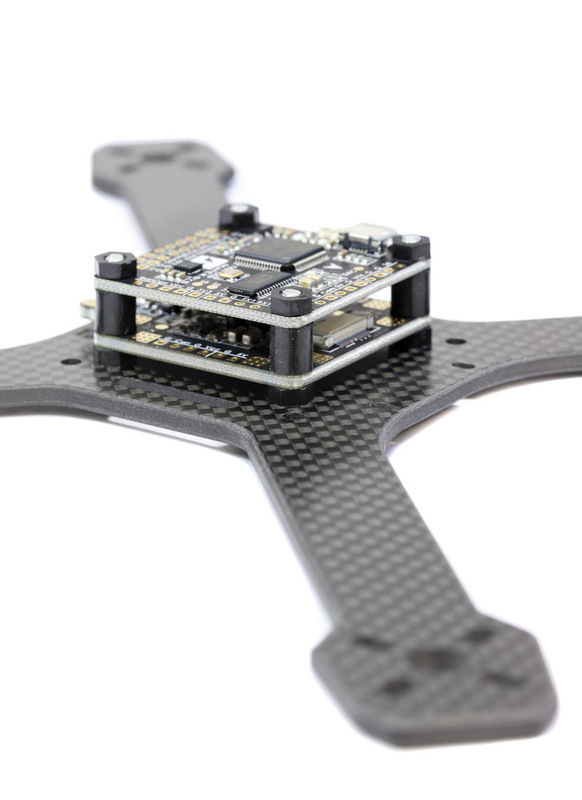 We sell both M3 and M2 sets; regular drone flight controllers typically use M3 and M2 used for micro FCs. We sell a full racing drone FC / PDB soft mount kit which includes the Matek Anti Vibration Spacers and m3 nylon fittings here.